Commercially available green teas vary widely in antioxidant potency, scientifically expressed in EGCG levels, and may contain various pesticides. Our TeaForHealth® green tea, developed by Dr. Sin Hang Lee however is certified to contain a minimum 7.10% EGCG or higher in dry weight. In collaboration with a tea research institute in China, these standards are designed to maximize the health benefits of green tea. 1 This specification meets the standard for typical green tea defined by the National Cancer Institute if a customary 1:100 w/v dry tea leaf-to-water ratio is used to brew tea drinks. For comparison, most green teas on the markets contain 2-4% EGCG or lower in dry weight. Refer to the Tea Library for more information. 2 Codex: Codex Alimentarius Commission of Food and Agriculture Organization - FAO & World Health Organization - WHO of the United Nations. 3 Sample analyses of our teas for lead, pesticides and fluoride are posted on the FDA Dockets Management website. TeaForHealth® is only harvested in the spring and the fall seasons when the growth of the tea tree is slower. This allows for increased concentration of the active ingredients in the tea leaves. The tea is selected only from plantations that do not use chemically synthetic pesticides or fertilizers, and certified to be organically cultivated by the Organic Tea Research and Development Center of China. The fresh tea leaves are processed immediately upon harvest and are packaged in vacuum with nitrogen flushing to prevent oxidation and to delay degradation during storage. The total concentration of green tea catechins (GTCs) is about 15%, and the EGCG content is about 9-11% in dry weight when our teas are freshly packaged. 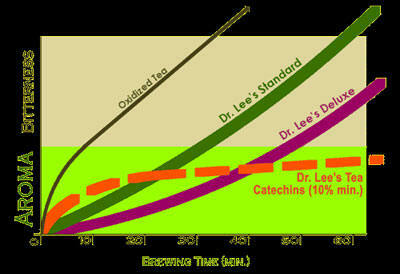 While all teas eventually decrease in antioxidant activity during storage, Dr. Lee's TeaForHealth® green teas are sealed in vacuum with nitrogen flushing, which greatly slows the degradation process. The GTC and EGCG contents are at least 10% and 7.10%, respectively. Pesticide and heavy metal contaminant residues and the fluoride level in TeaForHealth® are non-detectable or well below the limits set by the U.S. Environmental Protection Agency, Pharmacopoeia for Herbal Medicines and the FDA, respectively. Certificates of analysis of each lot of green tea issued by independent laboratories are kept on file as quality assurance to consumers. In ancient China, tea was used as both food and as a way to maintain good health. Tea was originally described as “bitter sprouts” in the old language. All teas were considered good for health purposes, first cultivated by the Taoists functioning as physicians in the tea gardens of their monasteries. The terms of green tea, black tea and oolong tea did not exist in the ancient Chinese language because all teas were green tea by today’s definition. * Young tea leaves harvested freshly 2,000 years ago were all good for health purpose because the EGCG level was always high and the fluoride low in young leaves; and no leaded gasoline or chemical insecticides were in use on earth then. 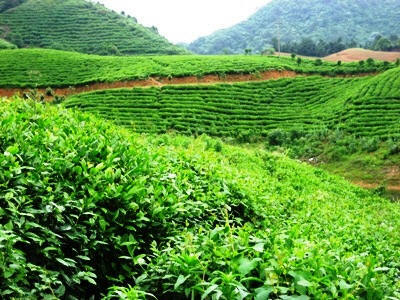 Our tea comes from Chinese tea plantations located in frost-free misty hillsides away from pesticide-sprayed agricultural crops, industrial pollutants, and automobile discharges. 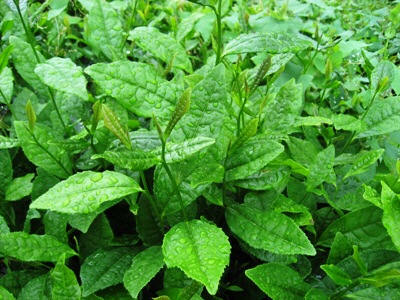 Growth conditions favor the maximum production of the natural health ingredients in the tea leaves. To preserve the health ingredients, the tea leaves must be processed at the plantation. The major steps are to heat-inactivate the polyphenol oxidase without destroying the EGCG in the tea leaves, and package the tea leaves under vacuum with nitrogen refills.